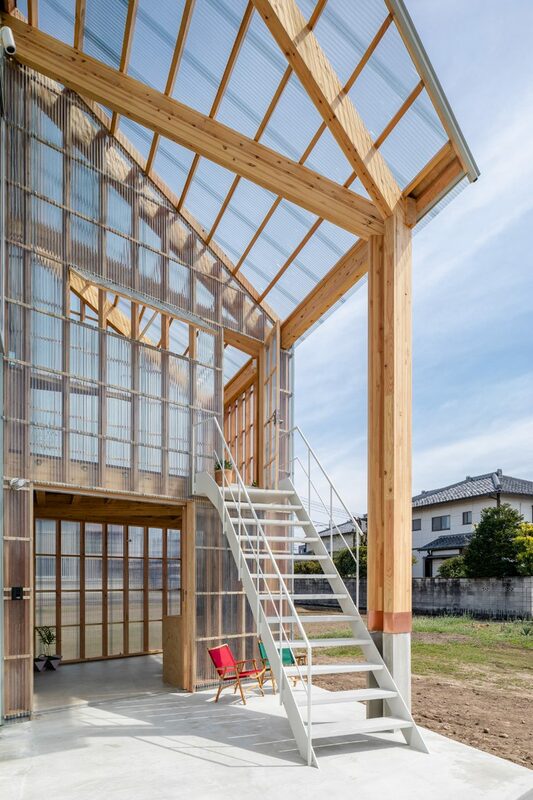 Architecture studio Snark has completed a house in Maebashi, Japan, incorporating a solarium that the owner uses to grow plants. The house comprises two distinct parts; one clad in horizontal boards containing the main living areas, and an adjoining transparent volume that contains the solarium. 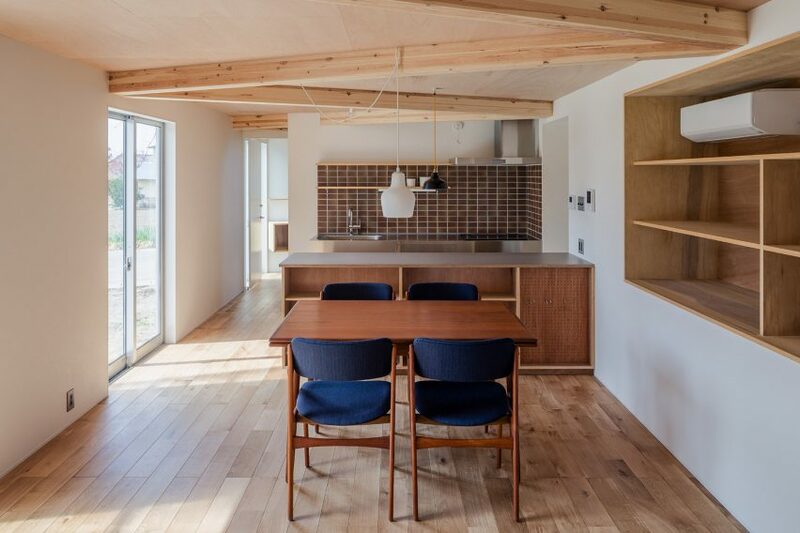 Snark, which is based in the neighbouring city of Takasaki in Japan’s eastern Kantō region, designed House in Nakauchi for a family of four. The compact 65-square-metre property is situated on a parallelogram-shaped site and features a plan that follows the outline of the large 370-square-metre plot. 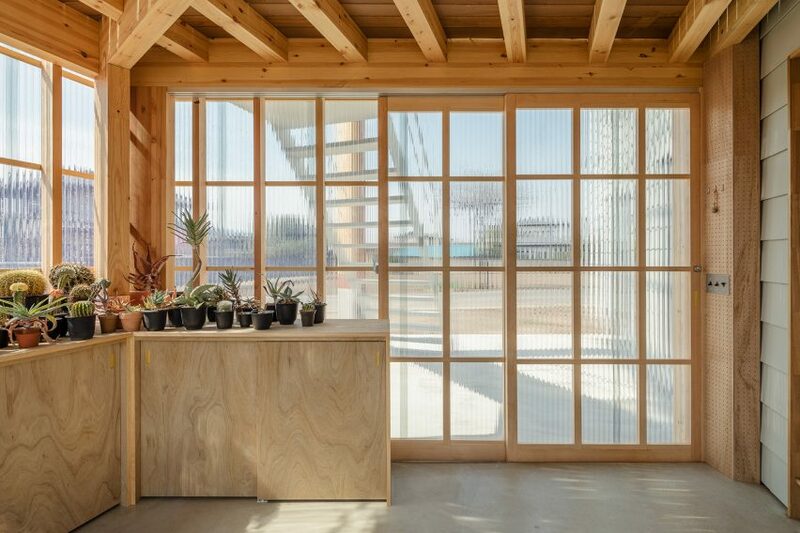 As the owner’s hobby is cultivating cacti and succulents, the architects created a space that provides suitable growing conditions for these plants. The solarium acts as an entrance porch on the ground floor, with its upper level accommodating a sun room connected to a study space. 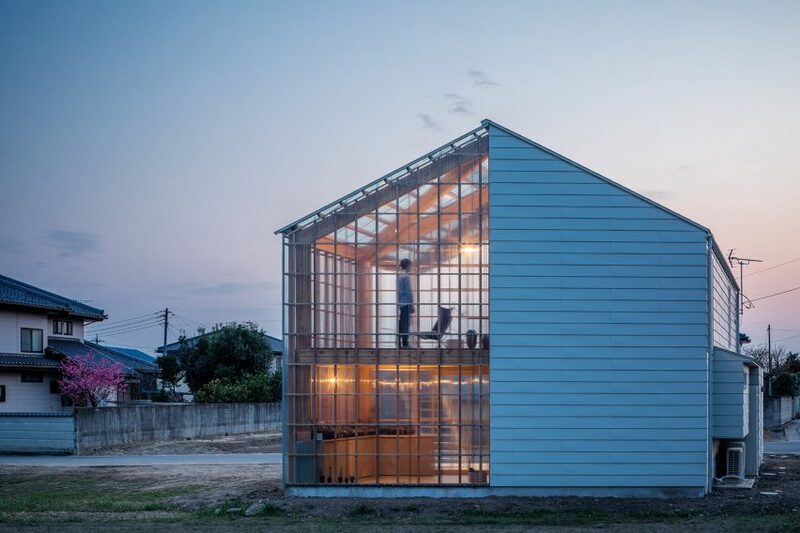 The structure is entirely clad in corrugated polycarbonate sheets to allow the sun to heat the interior. The material was also chosen due to its affordability and the ease with which it can be cut and manipulated. 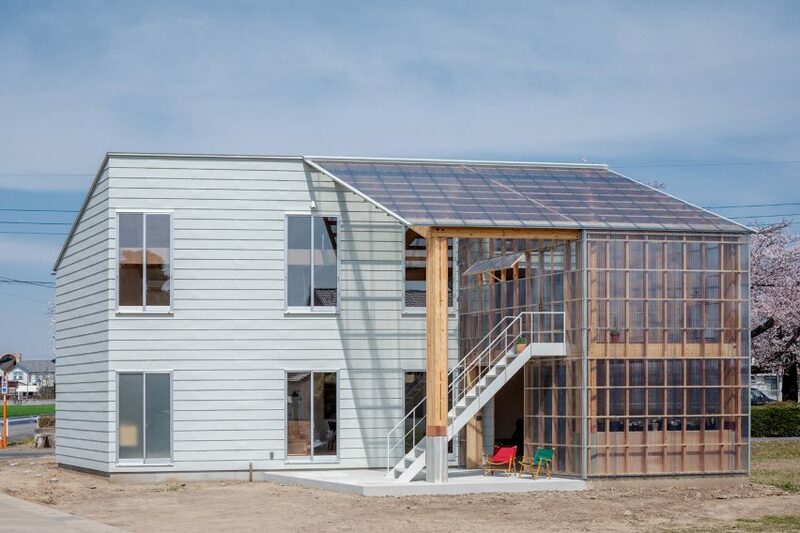 The two-storey timber-framed building was constructed using a palette of low-cost materials that reference the small barns found in the surrounding area. 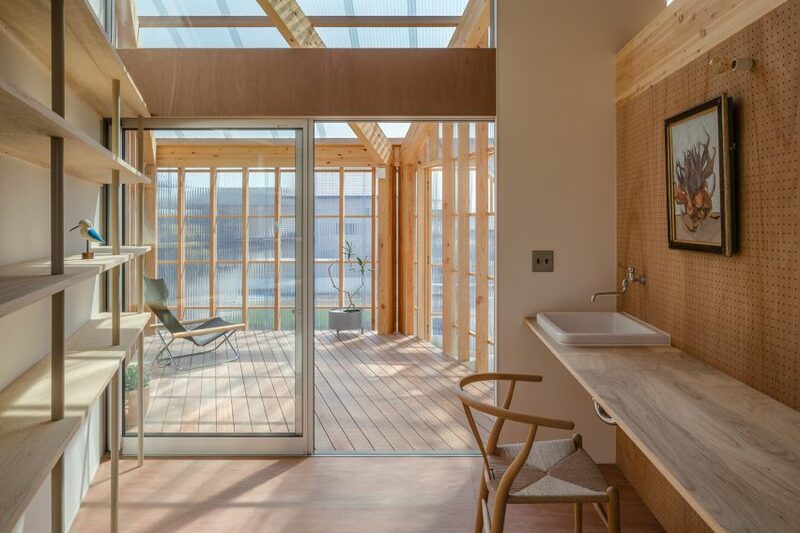 It was built with a timber frame that connects the two distinct sections, and facilitates the straightforward adaptation of the sun room section. The wooden frame is left exposed to enhance the sense of unity between both parts of the building. It is complemented by timber joinery and flooring that creates a warm and consistent feel throughout the interior. The entrance porch connects directly with an open-plan living area containing a kitchen at one end. A bathroom and staircase are tucked away behind the kitchen wall. The stairs lead up to a first floor accommodating a shared space for the children, which is sandwiched between a private bedroom at one end and the study at the other. Built-in storage divides the room into two more private spaces incorporating ladders that provide access to sleeping platforms squeezed in beneath the rafters. 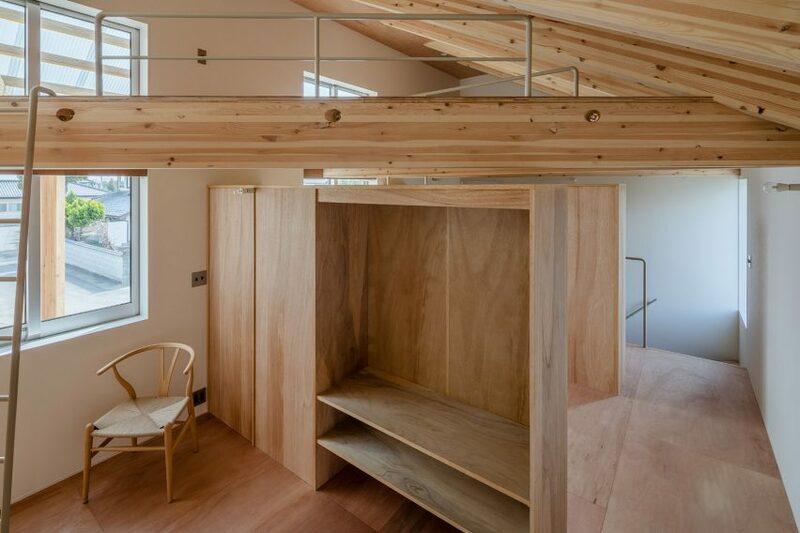 Snark’s other residential projects include a narrow house with a lopsided roof in Tourimachi, and a house for an illustrator in Kanazawa featuring exposed wooden beams supporting a first-floor mezzanine..